Disclaimer: I was invited to review a local restaurant from Menulog. All opinions are my own as usual. Living and working in the city has some great benefits. One of them is that there are so many good restaurants with a huge selection of cuisines to choose from. I normally finish work at 6 pm and once get home, it’s really hard for me to go out. 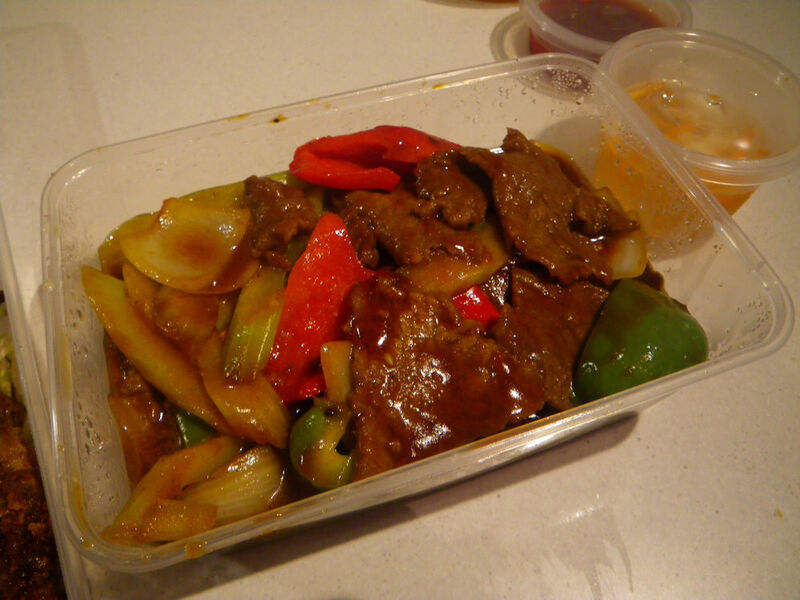 Although Tina took care of cooking, she has her laziness sometime and a takeaway order could be a good choice. 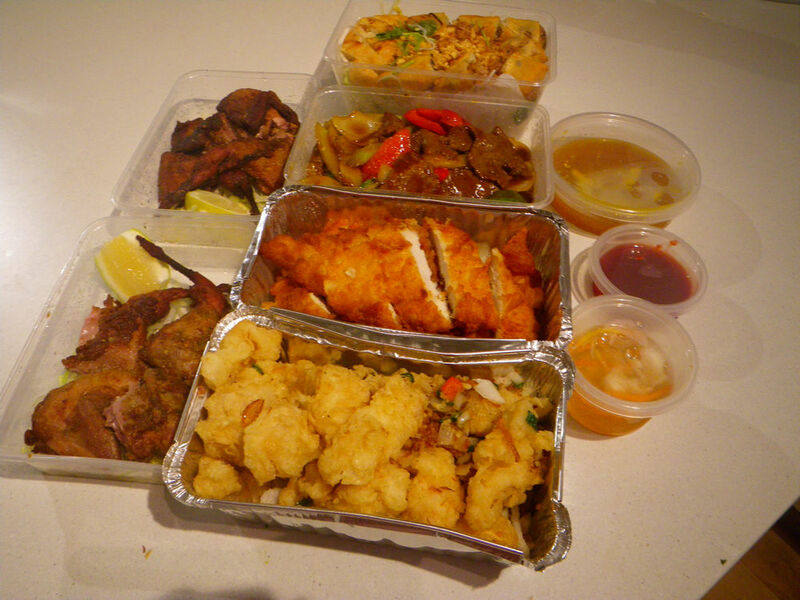 The dinner was ordered from Saigon Gate Cuisine, a Vietnamese restaurant in North Adelaide, from Menulog, the No 1 for online takeaway in Australia, according to the website. The food arrived at 5:45 pm sharp and the deliverer showed a big smile. For Vietnamese food, I can talk to you for days on how good a pho is or the barbecued pork and cold roll is. Hence, what I ordered was something we can’t make at home. 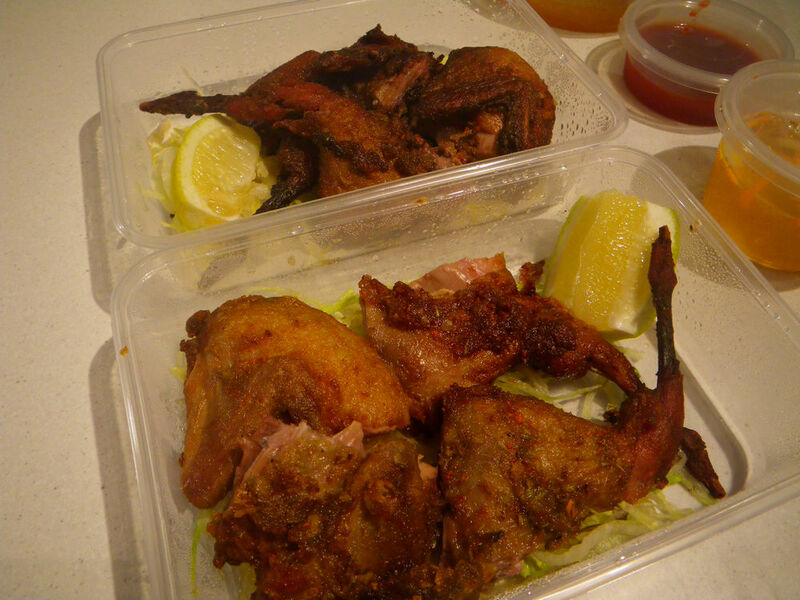 For the entrees, we decided to go with the spicy quails, while Tina wanted her salt and pepper squid. The serving sizes for each of the dishes were huge! 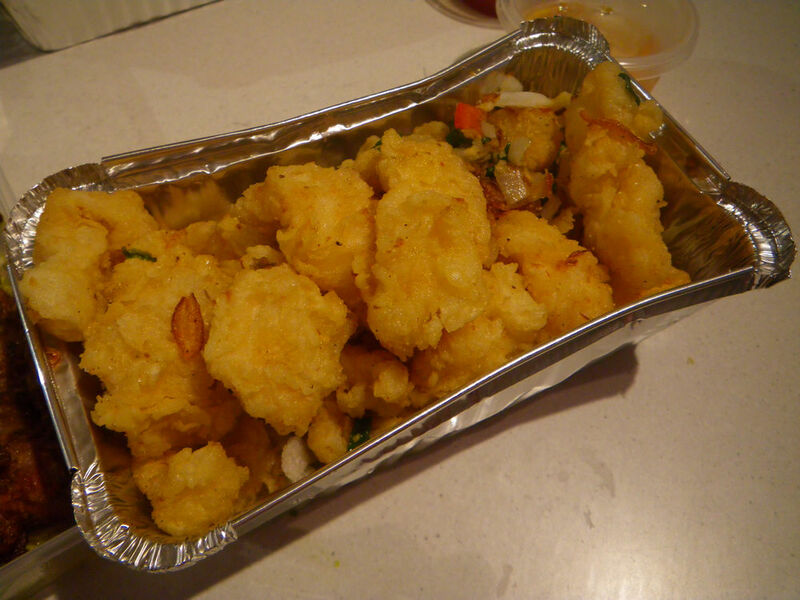 An entree on its own can probably get me fed up easily :D.
Salt and pepper squid has somehow become one of the iconic dishes for Asian cuisines. As I mentioned earlier, the serve was huge and it’s more than our normal mains. 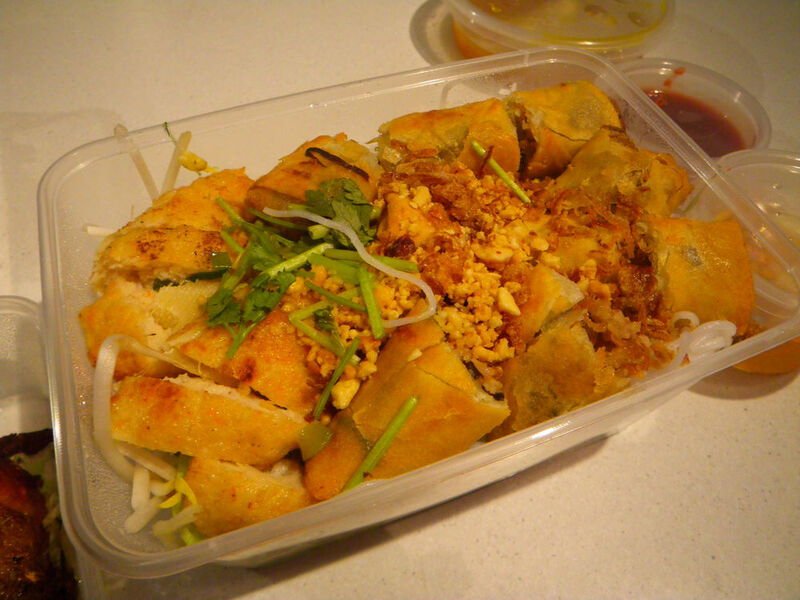 The flavour was nice too with a hint of Vietnamese herbs and spices. I added a little bit of salt and pepper myself to fit my taste but Tina found it still being okay without that extra bits. Actually this was her favorite dish of the night. I’ve been fallen in love with quail for many years, since I first had them in a Vietnamese restaurant on Gouger street about ten years ago. These quails from Saigon Gate were not chargrilled, but instead they were lightly fried with heaps of spices and herbs. Flavours such as fish sauce was detected. Although the meal was for delivery, the chicken wasn’t soggy or anything. 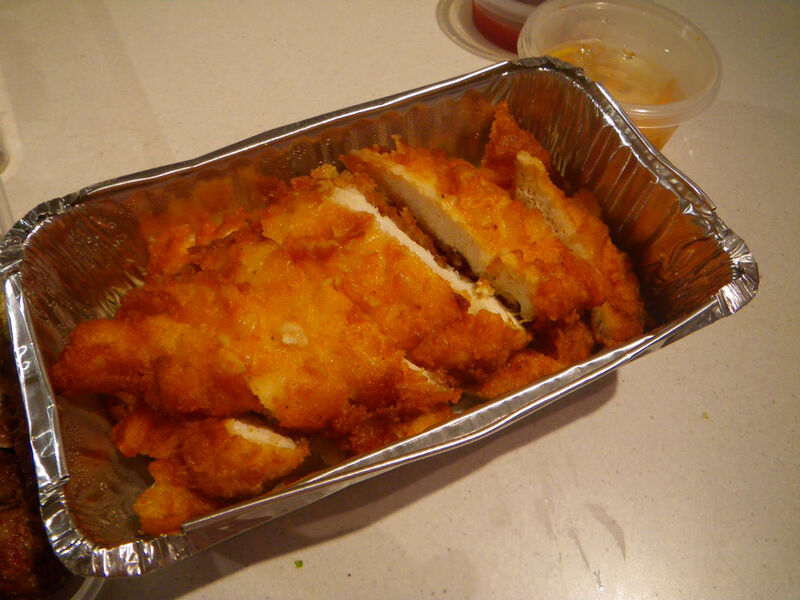 This lightly battered and friend chicken breast dish was tasty especially with the crispy layer on the outside. I chose teriyaki sauce but didn’t really need it because the chicken itself has been well seasoned. This dish was a good find. The sauces were full of flavours so did the beef. Good taste and super tender beef are all I can say about this dish. For a casual cafe style restaurant, diners would not expect those fine dining amazing experience, but for someone focus on the basics of their food and multinational cuisines with cheap price yet some flavours, Saigon Gate can be a good choice and can satisfy your belly easily, especially with its large serves. We live nearby. May need to check this place out. We are always up for cheap but tasty dishes. Menulog is a good site to order from and everything is just a peace-of-mind. My hubby has ordered from the site for many times but there has never been a single problem. This is the first time I actually ordered from the site but yeah, as you said, the process was quite simple. Always like your blog post mate! They are very genuine and honest and the recipes just look amazing! We have tried this restaurant before and what you’ve said gets my credit. G’day and always enjoy reading your posts Xin! This is a lot of food for two people, but all of it looks fresh and yummy! It was quite tender too.